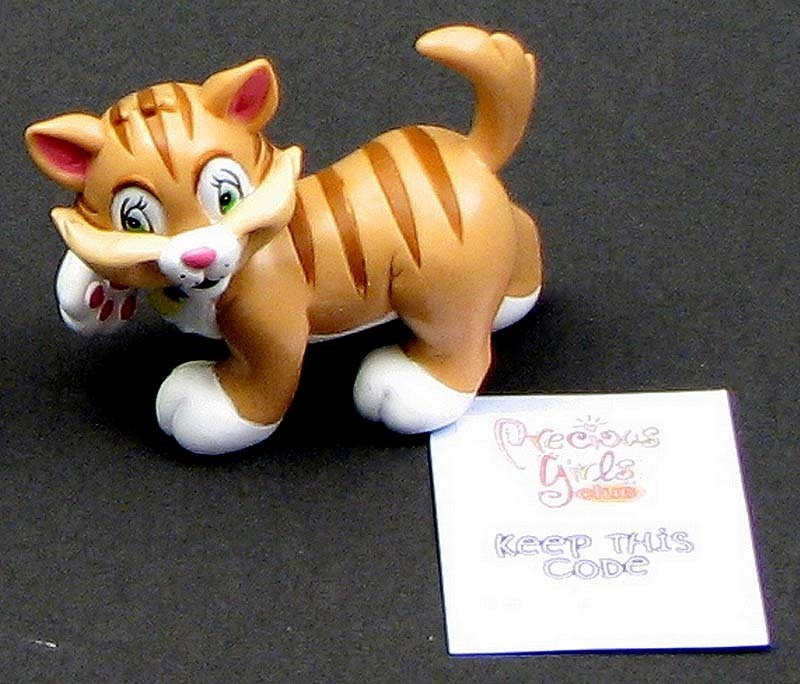 Precious girls club by Precious Moments collectible cat. Made of a hard rubber composite. Comes with a special code that allows free rainbow membership and other surprises for the child. Measures 3"W x 2.25"H x 1.25"D.